Today is 'International Talk Like a Pirate Day'! 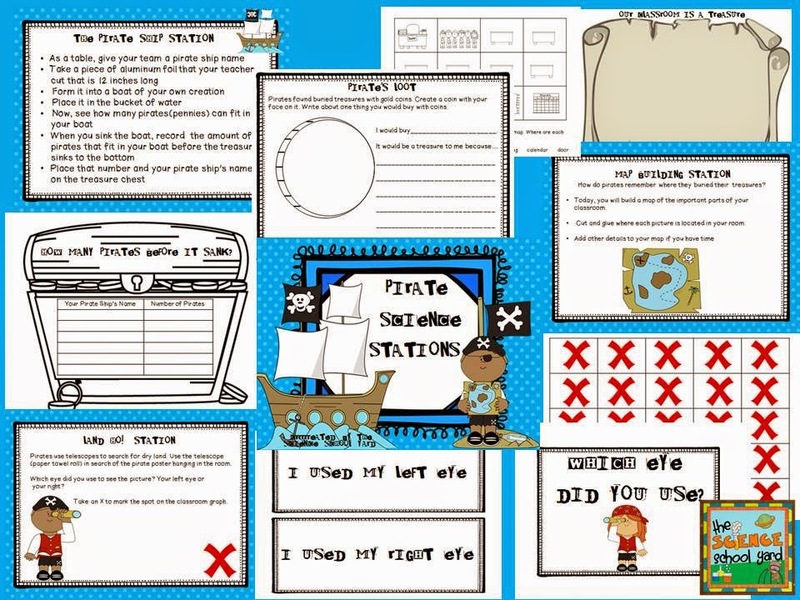 To celebrate, I created a fun Pirate Science Stations freebie for you. Some of my blogger friends are also giving you a chance to find lots of pirate booty! Stop on by Mrs. Jump's Class to find some great freebies! Find My Freebie Here! X marks the spot for a treasure! Don't forget to pillage some other bloggers buccaneer's posts for more great teaching treasures!